The Summary of Responses is a report that displays answers for each question as a graph, data table, and/or list. The report offers a comprehensive overview of the responses. There is no need to produce a graph or create a formula. It is automatically done. The Summary of Response report makes data analysis easier. This report can be viewed by respondents or shared with others using a link. Summary of Responses is a report that displays data in a Google form using graphs, tables, charts, and lists. The questions answered by a respondent can be controlled using Google Forms. A form can be created that directs the flow of questioning based on the answer to a multiple choice question. Logic is applied to options in a multiple choice list to display a particular page or submit the form. This is a great way to have people skip questions that do not apply to their situation. The add-on Flubaroo can be set to automatically grade answers submitted using Google Forms. This add-on is used to create an answer key. Based on this information Flubaroo can quickly grade answers and display results on a separate worksheet. Options are available to email marks to the respondent automatically. This add-on is a must have for any teacher. It is a super time-saver! Data from a Google Form is typically stored in a spreadsheet. 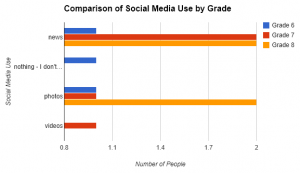 This information can be analyzed using a pivot table or pivot chart. A pivot table allows a person to place data into rows and columns to produce a grid that summarizes information in a spreadsheet. This is an excellent method of comparing the answers for each subgroup. A pivot table organizes data from a spreadsheet to compare subgroups. Information in a pivot table can be transformed into a pivot chart. 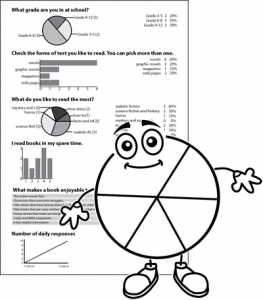 The chart type can be a bar graph, column graph, line graph, or pie graph. This produces a visual display that makes it easier to compare data for each subgroup. A pivot chart makes it easy to compare subgroups. The location of the responses to a Google Form can be changed. This is a great way to re-use a form with a new group of respondents, while maintaining the original set of responses in a separate spreadsheet. This feature makes managing data from different classes simpler.